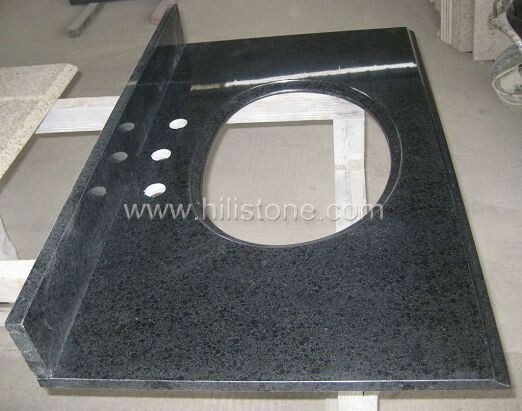 ﻿ G684 Black Polished Vanity Top with Backsplash manufacturers,G684 Black Polished Vanity Top with Backsplash exporters,G684 Black Polished Vanity Top with Backsplash suppliers,G684 Black Polished Vanity Top with Backsplash OEM service. 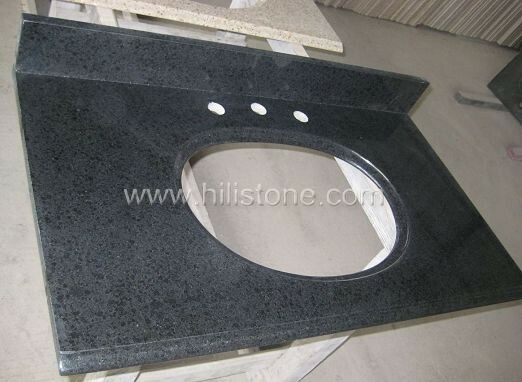 HiLi Stone’s Vanity Tops are available in a wide range of colors and materials. We offer beautiful countertop, undermount porcelain sink, bowl cutout, backsplash or sidesplash, or even faucet. Custom-made sizes, designs, colors and styles are available according to requests. * Thickness is available in 3/4” or 1-1/4”. * Standard dimensions: 25"x22 1/4", 31"x22 1/4", 37"x22 1/4", 49"x22 1/4", 61"x22 1/4". 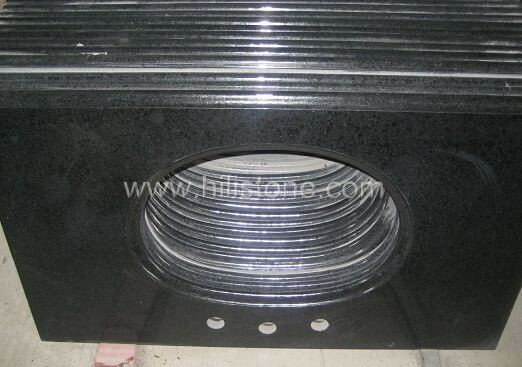 * Basin dimensions: 15-3/8" L x 11-5/8" W (front to back). * Available with 4" centerset or 8" widespread faucet drillings. 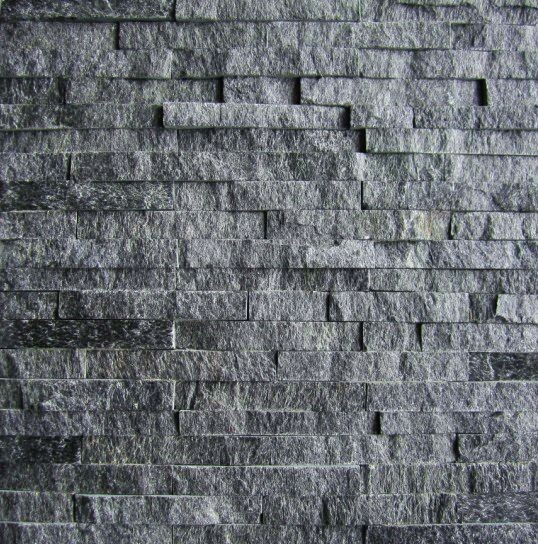 * Can be included stone countertop, backsplash and undermount white porcelain sink. * Matching right or left sidesplash available. 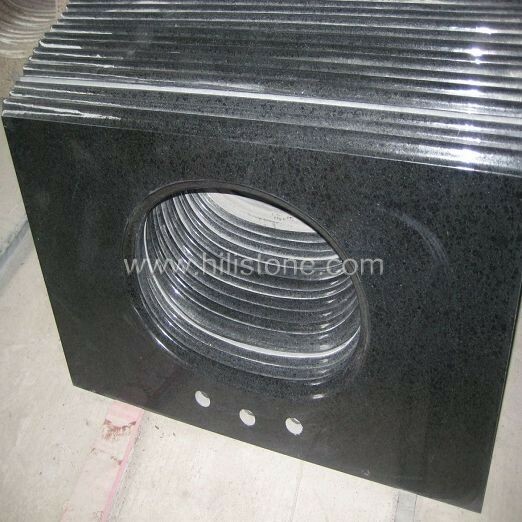 * Stone is polished to a smooth gloss, easy to clean. 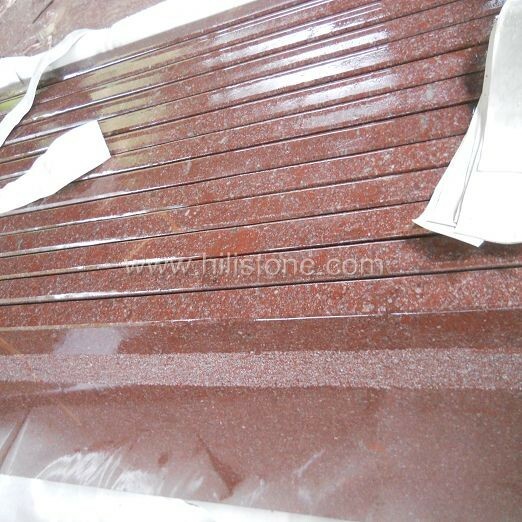 Keywords: Stone Vanity Tops,Vanity Tops,Bathroom Vanities,Granite Vanity Tops,Marble Vanity Tops.